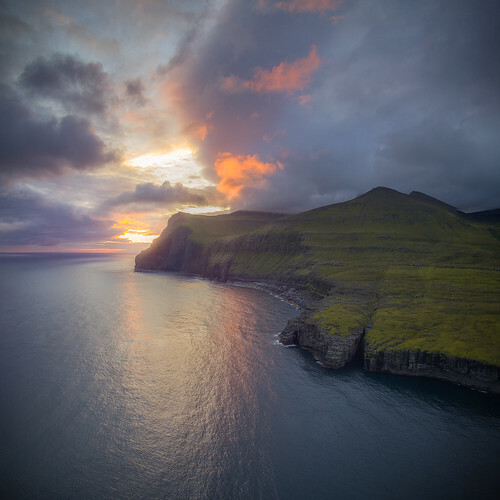 Sunrise somewhere in Eysturoy, Faroe Islands. That rugged Faroe Island coastline really is something. Shot with Powervision Powereye.